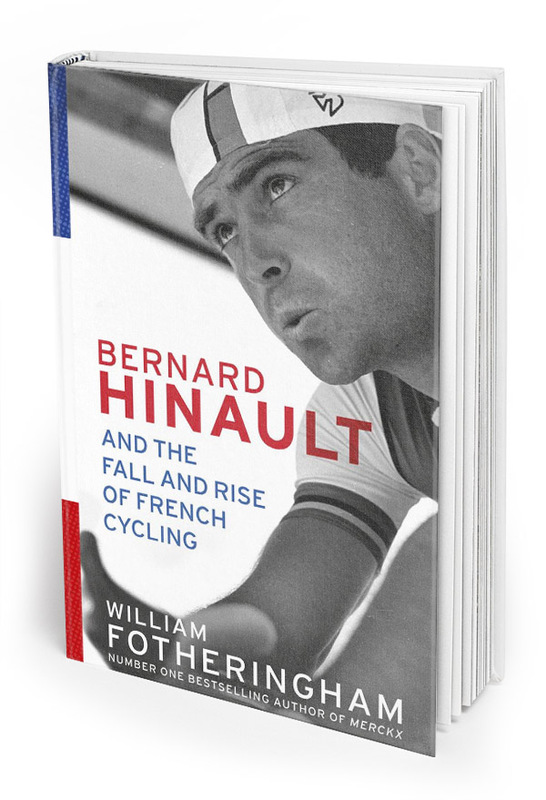 Thirty years after France last won its home Tour, this is the biography of the man who remains the last French victor, Bernard Hinault. The Badger is one of the four men who have won the Tour five times, but there is more to him than that: Hinault was the last of cycling’s great all-round champions, a man capable of winning Liege-Bastogne-Liege in a snowstorm or dominating a world championship, as he did in 1980. He was also the champion of my teenage years, the rider whose name was constantly in every magazine and who was on the front every time I watched the telly, which wasn’t often… Hinault himself contributed to this account of his career as did other contemporaries such as Robert Millar, Joop Zoetemelk and Stephen Roche, and it brings the story up to date by looking into the reasons for French failure in La Grande Boucle in the last 30 years.